How Outsourcing Legal Research Services is Beneficial to Attorneys? 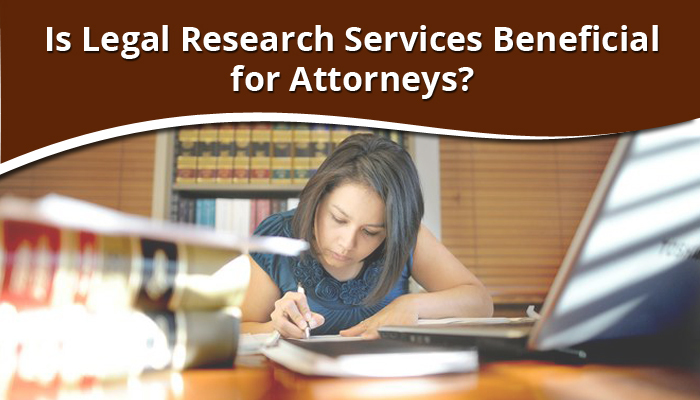 How Outsourcing Legal Research Services is Beneficial to Attorneys? How Outsourcing Legal Research Services is Beneficial to Attorneys? The legal sector like any other service oriented industry is primarily based on offering affordable and impeccable service to clients. Laws and legal structures are fixed entities – what gives a particular firm an extra edge is its ability to deliver exclusive and speedy solutions to litigants. This is why law firms and attorneys have been looking for ways and means to ensure that they can remain competitive without compromising on the quality of services. This thought process really took off after the global recession not so long ago when attorneys were inundated with cases but did not have the infrastructure to do justice to them. This dichotomy arose because on one hand most were bankruptcy cases and clients could ill afford high lawyer fees. On the other hand law firms could hardly afford to hire lawyers at high salaries to meet the sudden spike in business. The only solution then was to meet this increase without large-scale investment in infrastructure for diversification and expansion. And thus arose the need to outsource legal services at rates that could be met by the litigants while making sure attorneys got a superior top of the line results from the outsourcing agencies. Of all the verticals that law firms spin off to outsourced agencies, a decision to outsource legal research is by far the most important. This is because of the very nature of this process. Legal research is the basis on which a case is prepared and a brief finalized. It entails consolidating legal points taken from a wide range of references and interpreting them in a manner that furthers the cause of the case in hand. The references can be law books, almanacs of past cases and judgments passed in similar situations. An analysis has to be made based on all these aspects and applied to the brief for which it is made. Hence legal research has to be thorough and in-depth if attorneys are to function well. Enhanced Efficiencies – As seen, legal research is an extremely time-consuming job that requires perusing voluminous documents. Given this task to highly paid attorneys is a waste of manpower more so since it does not require any discretionary powers as everything is transparent in law.The time can be better utilized in providing quality services to existing customers and for getting new clients while this back office activity is taken care of by outsourced agencies. As it is attorneys are always busy in court cases and outsourcing legal research will free up their time. Cost-Cutting Measures – There will be a significant reduction in costs in a number of ways if you outsource legal research. First, this type of work requires no special thought process, it is only how the statutes under the law are construed for a specific case. Thus, this work of gathering information can be safely outsourced. Secondly, the requirement for research is not a continuing process.It comes up only once when the brief is being prepared. Keeping highly paid researchers on the rolls will not benefit attorneys and will only add to overheads. It will be more prudent to outsource research work in a case by case manner. These savings in the long run can be better utilized for offering services at competitive prices. Speedy Preparation of Cases – Attorneys have to perpetually face deadlines which can greatly affect their efficiencies. A way out is to ensure that activities that do not require personal intervention like court appearances are parceled out to agencies that can do an equally good job of it. Top of the list is legal research. Further, when you outsource to offshore agencies the whole process is speeded up because of the time differentials between countries. Upload your requirement of research at the end of the day and get it back next day morning. A quick solution or report or advice is the primary concern of almost all litigants. Getting Expert and Proficient Services – With the stabilization of the Legal Process Outsourcing (LPO) industry, almost all outsourced agencies have acquired high levels of proficiency in this field. Lawyers engaged by them are fully conversant with the finer nuances of laws of most countries and can, therefore, deliver top of the line research and written documents. Attorneys can get the work done at much lower costs and still benefit from the same level of effectiveness that would be delivered by lawyers in home country. Outsourcing legal research is now a global phenomenon not restricted to law firms in general and attorneys in particular only. Large multinational corporations and blue chip companies too are taking this route to optimize growth and profitability by keeping court appearances within the purview of their legal department and outsourcing back-office activities to agencies offering high quality yet low-cost solutions. 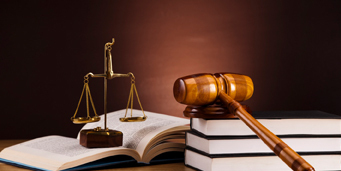 Legal Support World is among one of the top legal outsourcing companies. Our team of experienced lawyers offers high-quality research and writing services with consistent results. To know more, contact us at info@legalsupportworld.com.